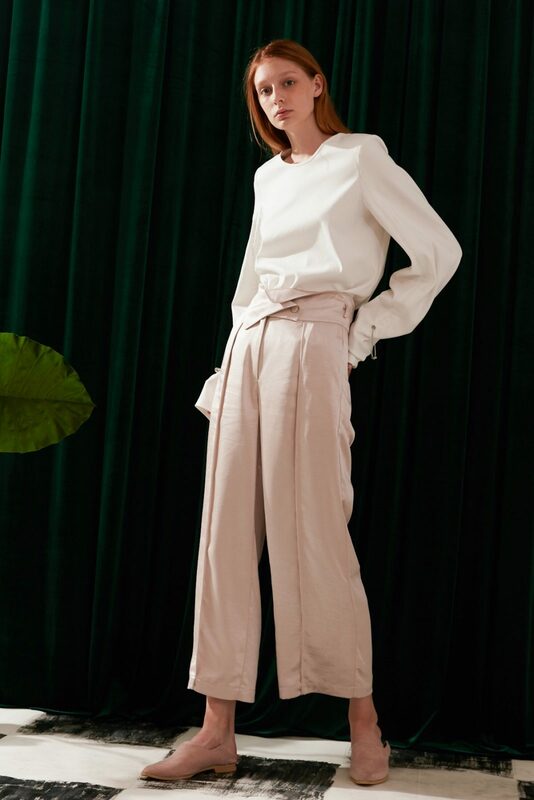 Sleek and flowy, our Asymmetric High Waist Pants mix ease of movement with effortless chic. 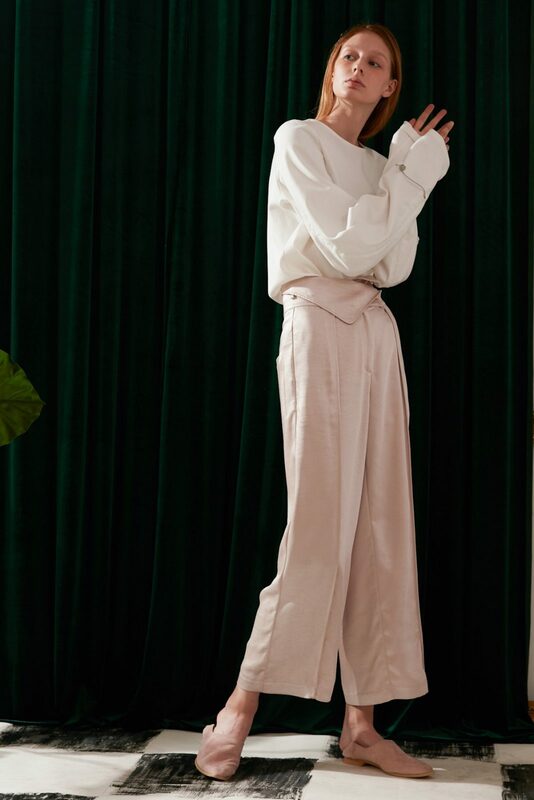 Made with a light weight fabric that drapes and moves like liquid. It has a vibrant, ultra sleek feel with a beautiful sheen. 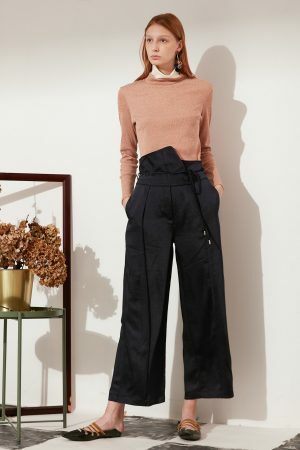 I adore these pants, works with my hips and a great length for a shorter gal (I’m 5’4″). I wouldn’t say these are appropriate for winter as the fabric is quite thin but they are beautiful and I’ll be wearing it the hotter months. These pants are a chic girl’s must have! 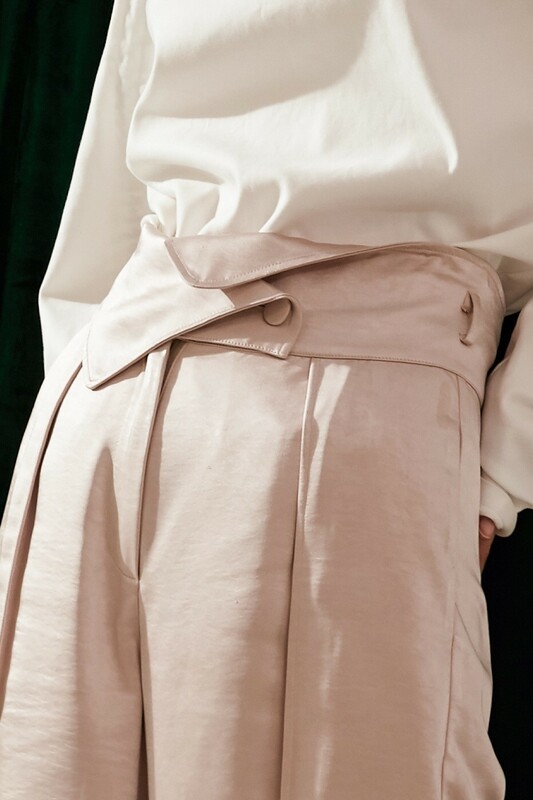 The fabric is like liquid silk, so beautiful and smooth. A dream to wear on warmer days! Pants came fast in beautiful packaging. Fits just right and is very silky and cool to the touch. Will be wearing it a lot in summer. I LOVE these pants. 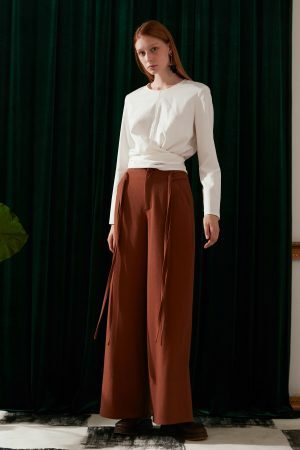 The fit is perfect – I love the drape and the length – it looks great both with a cropped top and with a loose blouse tucked into it. It is silky smooth and feels great against the skin. Love the style, very unique. The fabric feels silky and quality. However, it is also very shiny and is not appropriate to wear to work.